Every book of the bible should be studied by Christians, but each for its own unique reasons. So, why should we study the book of 1 John? What insights will we gain into the Christian life? How can we expect God to speak to us during this study? Knowing some background on the book will provide some useful knowledge as we begin this study. The traditional and most accepted author of 1 John is that John the disciple wrote the letter. He is also the author of the Gospel of John. Some argue that a different John who was a leader in the second generation church wrote the book. But, this is not a popular opinion. The letter bears too many similarities to the Gospel of John in style, characteristics, and views of Jesus. The letter also begins with a claim of the author to have been an eyewitness to the life of Jesus. It should be noted that the traditional view comes from the writings of the early church, none of whom suggested any other author than John the disciple. This is most notably the result of the work of Irenaeus, bishop of Lugdunum in Gaul, and who lived from a.d. 130–200. Irenaeus knew Polycarp, an early church leader who knew John the disciple. Therefore, Irenaeus's testimony is seen as very reliable. When and Where was 1 John wrote? It is generally thought that 1, 2, and 3 John are written in Ephesus after John's time of exile on Patmos. Therefore, a date of authorship in the late first century is most likely. Why was 1 John written? 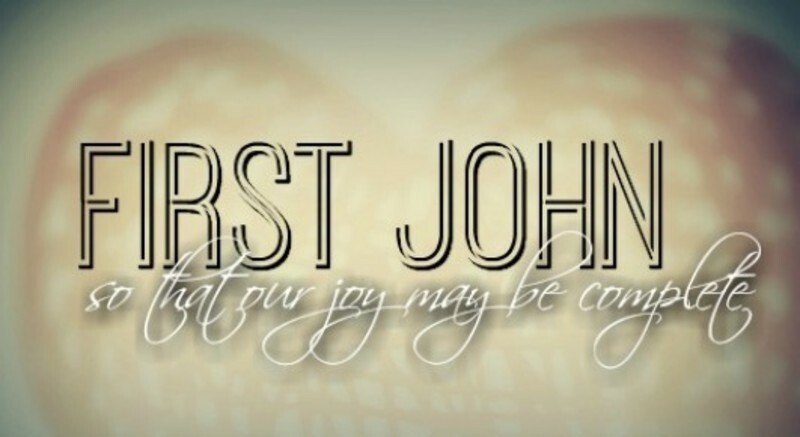 John wrote this letter to combat heresy that was trying to make its way into the church. From the very beginning of the book, there is a large emphasis on the connection between right beliefs about Jesus and true fellowship with Jesus and other believers. For John, these heresies were no small matter. They disqualified someone from being a true follower of Christ. Today, we face the same dangers. People wish to believe in God as they want to imagine Him. But, like John, we must stand for the truth of the One True God. Belief in a Jesus that is different from scripture is no belief in Jesus at all. One thing that has always puzzled me when reading the words of Jesus is how often he opts out of the most straight forward answer. Take for instance our passage today. John the Baptist sends his disciples with what could have been a simple yes or no question. Jesus' response is far from a simple yes or no. It is a somewhat complicated reference Old Testament passages being brought to life. In John 8:13-19, Jesus has a unique confrontation that I think will shed some light on why He often opts out of the easier answer. In this passage some Pharisees try to discredit Jesus' ministry by saying that He is the only one that bear witness about Himself. The Law says that in order for a testimony to be considered true, there had to be at least two agreeing witnesses. Jesus was making proclamations about himself, therefore His testimony could not be taken as true. Jesus answered them by saying that He testified about Himself, and that His Father testified about Him also. This interaction in John 8, along with Jesus' consistent use of scripture does two things for us. First, it elevates the importance of scripture; especially that of the Old Testament. The Old Testament scriptures are where we find God the Father's testimony about Jesus. In revealing Himself to the nation of Israel in the Old Testament, God the Father also prepared them for the coming of Jesus. A correct view of Old Testament salvation would be that they believed God when He said that He was going to send Jesus. The second thing that Jesus' consistent use of scripture should do is give us confidence. Had Jesus just been another enlightened man who had a new twist on timeless teachings, then one could easily write Him off as having nothing significant to add to the already crowded religious conversation. But, Jesus lived and taught in light of Old Testament prophecies that were meant to reveal His true identity. So, when John asks Jesus if he is the coming one, Jesus could have simply said yes. But, Jesus opts for a better answer. Jesus says look, all the things that scripture says will happen when the coming one comes are happening. Jesus' answer puts God the Father's words together with God the Son's actions. It was not the simplest answer, but it was the most powerful answer. One phrase that has become annoyingly popular in our politically correct word is: “what's right for me”. It is like saying that while I may not know what is best for everyone, I am the foremost authority on what is best for me. I really only have two problems objections to that statement, but they are pretty big objections. The first is rather simple. Nobody really believes that what they best for them isn't best for everyone else too. How many times have you fell in love with a product and tried to talk someone else out of getting because while it was best for you, it may not be best for them. The truth is, we draw validation when someone else chooses the same product or path that we chose. My second objection is a little more layered. I object to the idea that I can be the foremost authority on what is best for me. Think about it this way: “If you know what is best for you, why is it so hard to do it?” Good habits are hard to make and easy to break. Bad habits are just the opposite. I cannot count how many times I have killed a month of dieting with a Craving...that turned into just one small indulgence...that turned into a cheat meal, that turned into a cheat day...that turned into I'll start back next week...that turned into I'll start back next month...that ultimately turned into making the same New Year's Resolution as last year “but for real this time”. The truth is, that when it comes to what is best for me, I am my own worst enemy. That is exactly the point Paul drives home when he said that we are slaves to sin. How can I know what is best for me, when I am a slave to something that brings death and destruction? 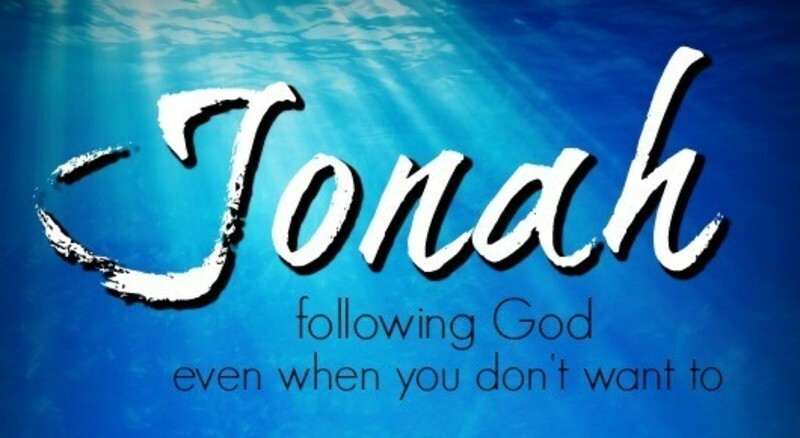 In Romans 6, Paul writes so well the lesson we learn from Jonah. Following God may not be the future that we envisioned for ourselves, but running from God never gets us where we wanted to go either. How can I know what is best for me, when I cannot even stop myself from sabotaging something as simple as a diet? We must come to understand that the only one who can know what is best for us is the one who knows what is ahead of us, and that is the LORD.